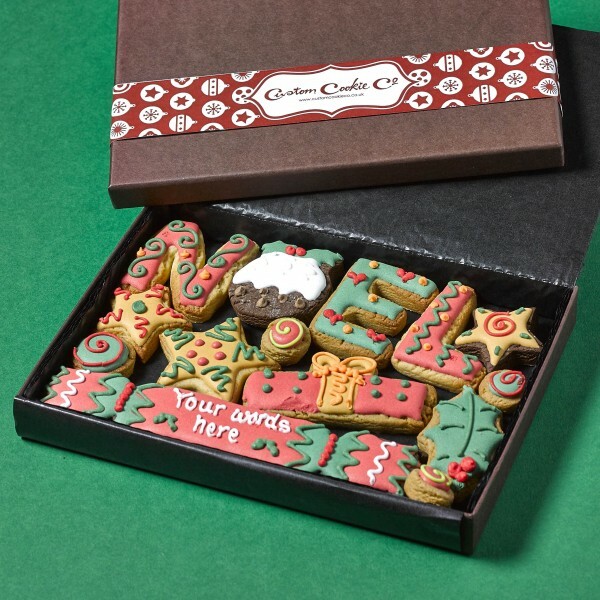 Spread Joy this festive period with our beautiful personalised Noel Cookie Gift Box. The box includes hand decorated Noel along with other Christmas themed cookies. The Christmas Cracker cookie can be personalised with up to 4 words. Cookies are a mix of vanilla, chocolate and ginger flavours.